The Victorians washed clothes in barrels of water. Soap was added and the clothes were stirred until they were clean. 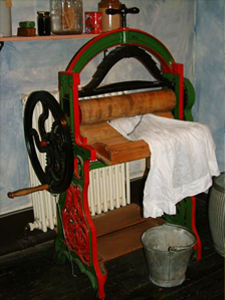 Hand-powered mangles were used to squeeze most of the water out of the clothes. They were then dried outside or over a fire.